Oregon House Democrats, representing diverse communities across our state, have long been committed to serving every Oregonian, no matter who they are or where they live. House Democrats have been at the forefront of transformational policy changes in Oregon, from expanding access to health care, to fighting for economic, racial, and gender equality. We are committed to building a future where everyone has access to the best that Oregon has to offer. We are working to build the highest quality public education system for every Oregonian from cradle to career, which will require reforming our revenue system so we can finally make stable, game-changing investments in our schools. We aim to address the long-term structural obstacles in our education system by investing in early childhood programs, reducing class sizes, improving graduation rates, making community colleges and universities more affordable, and supporting the expansion of high school equivalency programs, modern career-technical education, and vocational opportunities. We are ensuring that every Oregonian has access to quality, affordable health care. Every Oregonian deserves lower prescription drug prices, improved access to mental health care and substance use disorder treatment, and we must combat the opioid addiction epidemic. We are doing our part to combat the devastating effects of climate change through policies to build a clean energy future, protect our forests and communities from fires, and prepare our state for natural disasters. We are building communities that are welcoming, accessible, and safe through policies that will reduce gun violence, domestic violence, and sexual, racial and all forms of harassment. We are working to ensure more Oregonians have access to an affordable, stable place to call home. We are protecting our environment and defending Oregon's natural beauty through policies that protect the air we breathe, the water we drink, the outdoor recreation we enjoy and the natural resources our state depends on. We are engaging small businesses and encouraging living-wage job growth in every part of the state. We are committed to advocating for working Oregonians with policies that level the playing field, protect workers' right to unionize and bargain collectively, support working families, and ensure a healthy, job-ready workforce. 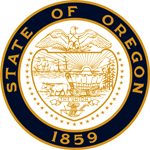 We are keeping Oregon's state government fiscally responsible, efficient, transparent, and as effective as possible. And we are working to build a revenue system that is fair, stable, and adequate to fund our state's priorities. We are fighting to ensure that every Oregonian is afforded the same fundamental rights, regardless of their race, religion, gender expression, age, or sexual orientation. We are committed to making sure our justice system is fair for all, our seniors and people with disabilities are respected and protected, immigrants feel welcomed and accepted, and veterans have the support they deserve.